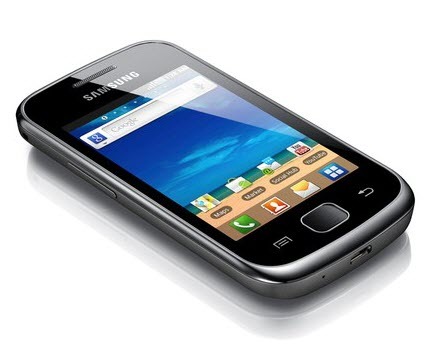 The Samsung Galaxy Gio GT-S5660 users can now update the final version of MIUI 2.4.20 firmware in their device. It comes with the goodness of Jellybean stock wallpapers and stock theme of Jellybean which is similar as that of found in the Galaxy Nexus device. In due course of this article, we have summed up a detailed features which work in this firmware and essential pre requisites along with a detailed guide to update this firmware in the device. IMPORTANT: This update should be applied only to the Galaxy GIO devices which have the model number as S5660. You can find the same in your device from the path “Settings > About Phone”. So, don’t make a try with any other devices; if you do so it will cause damage to the device. Before start to apply this firmware update in Samsung Galaxy Gio GT-S5660 devices you need to check whether your device is rooted or not. If you are not sure about the same then go the Google PLAY Store and download the “Root Checker” app. If your device is rooted then download the “ROM Manager” application from the Google PLAY Store. If your device is not rooted then do the same and then download the ROM Manager. Please make a note that all above mentioned features are working in cm7 or in MIUI only. Before start to apply this update we strongly advise you to take backup of all the data (i.e SMS, MMS, Call logs etc) present in your phone. If you lost your data while applying this update due to any reasons you can easily recover them with the help of backup. But don’t use KIES to backup your data; because it do not detect the device in the custom ROM Firmware. Make sure that you have left battery level of atleast 50% or else there is a risk of your device getting turned OFF in the middle of firmware update. So, once you confirmed you have done all the above mentioned instructions, then you can switch over to the next steps which we have given below to apply this firmware update in your Samsung Galaxy Gio GT S5660 device. DISCLAIMER : We should not be held responsible for any damage that occur to your device due to not following the given below instructions. 1. First, download the MIUI 2.4.20 Firmware Package from here to your computer. Once downloaded, then connect your phone to the computer with the help of original USB cable and place these two files in your Galaxy GIO device. 2. Now, disconnect the USB Cable and turn OFF the same so that it can be entered in the recovery mode. 3. The recovery mode in the Galaxy GIO S5660 can be entered by Holding Menu Button and then Power ON the device. If the device turns ON in the normal mode then you need to try again to enter into the recovery mode. Additionally, you can also enter the Galaxy GIO in the recovery mode from the ROM Manager app. 4. In the recovery mode, you need to select “install zip from SD card” > “choose zip from SD card” and then choose the MIUI 2.4.20 Zip file which is placed in the phone. 5. Once the update process is completed, the device will again land back to the recovery screen. In the recovery screen, select “++++ Go Back ++++” and then choose the option of “reboot system now” for rebooting the system. If the phone refuses to show the home screen even after 5 minutes of restart, you need to then reinsert the battery. NOTE : Just in case if the device gets into the boot loop sequence or say gets stuck in the welcome screen, just re insert the battery and re follow the above mentioned instructions. 6. If you want to check whether your device has been updated or not, just go to the path “Settings>About phone”. There you go! you can find the current firmware version in your android smartphone. Please don’t forget to share your thoughts in the comments section. And also if you face any problem while update this firmware in your device then let us know we will try to address the same as soon as possible. la rom existe-t-elle en français ?